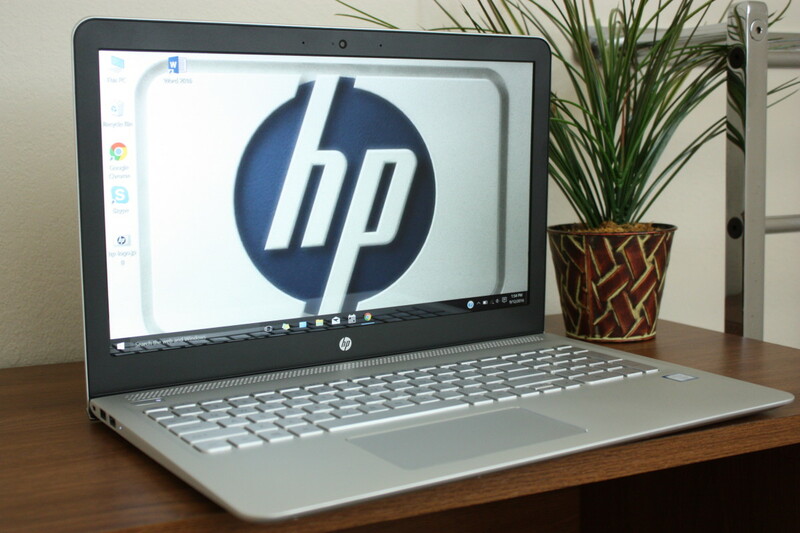 This article is to help you make the right decision when buying a used laptop off of websites like Craigslist and other classified sites. Buying a used laptop is not for everyone, but with the right know-how and a little bit of leg work, you can make it a satisfying experience. Take the time to turn it on! I can't stress that enough. The seller may look trustworthy, but their first priority is to sell, not make friends. If the battery is dead, find an outlet. 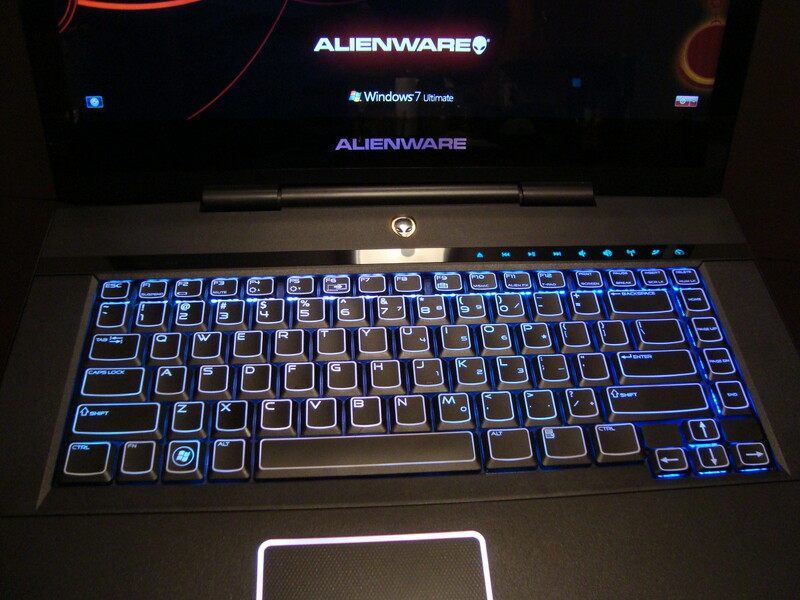 If the seller won't let you turn it on, or even see the laptop, you are being scammed. 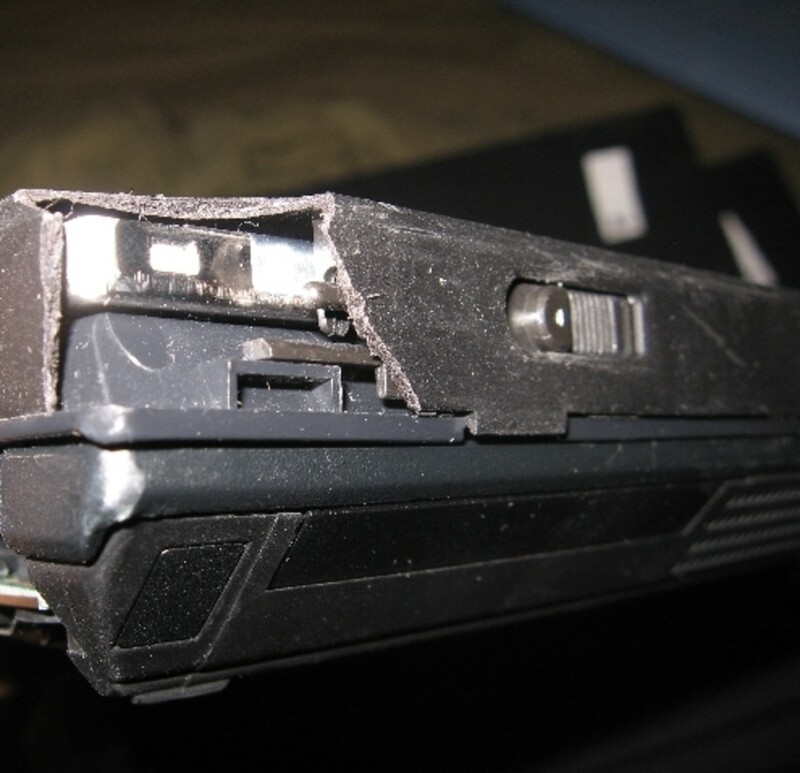 Dead/broken laptops certainly have their uses, but the price should reflect the condition. One of those secret issues that the average person never looks out for, but becomes a big problem later, is the BIOS password. 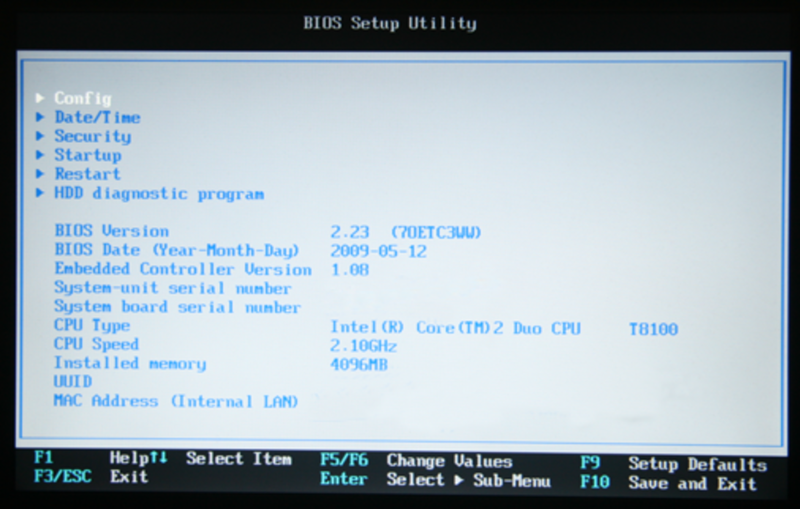 The BIOS is the very basic input output system that is controlling the system at the hardware level. The BIOS is responsible for all the laptop settings before you even start Windows. BIOS passwords were created for laptop owners to secure their private data and keep others from using their systems. There are varying degrees of security, and different types of passwords including hard drive and system wide passwords. You may wonder how this may affect you, especially since you are seeing Windows load up for yourself. On older systems, when the CMOS battery (battery that holds date/time and other settings) is dead, suddenly the system will ask you to enter the current date without letting you load into windows. You are stuck in a permanent loop because you can't access the BIOS, but you can't start Windows without the correct time. Another issue usually arrives too late for the customer to contact the seller. For some reason, the customer may need to reinstall Windows (it happens to all of us) and needs to change the boot priority to CD-ROM first. However, if there is a BIOS password, you will not be able to change the order of the drives. There are sometimes ways around this, but they require time, effort, and a trained technician. A hard drive based password will keep you from accessing the original hard drive, and in some special cases, from even putting in your own. Lastly, if the seller has a system with a BIOS password, and doesn't know what it is, more likely than not, the item is stolen. In most states, you will be REQUIRED to return the stolen item if you are found to possess it, or worst, you will end up in jail. There are BIOS cracking software from SOME systems, but it is not easy and on a slippery legal slope. Remember, on a majority of laptops, you can't remove the BIOS password by just removing the CMOS battery. That trick works on desktops, and you will see a lot of people on forums suggesting it, but for most laptops it does not work. BIOS passwords on laptops are usually on a non volatile chip (not affected by power loss). Typical DC jack from an IBM Thinkpad. Meet at a public place where you can plug the machine in. You don't know how many times I've seen a person buy a system that looks great, but has a loose DC jack. The system ends up charging slowly or not at all, and completely destroys the battery. After some time, the jack will break completely and the system won't turn on with the AC charger at all. The system should turn on with a battery, but by that point, yours will already be dead. Sometimes you will be able to see damage, but most likely you will not. Ironically, physical damage to the plastics of the jack does not interfere nearly as much as internal damage. 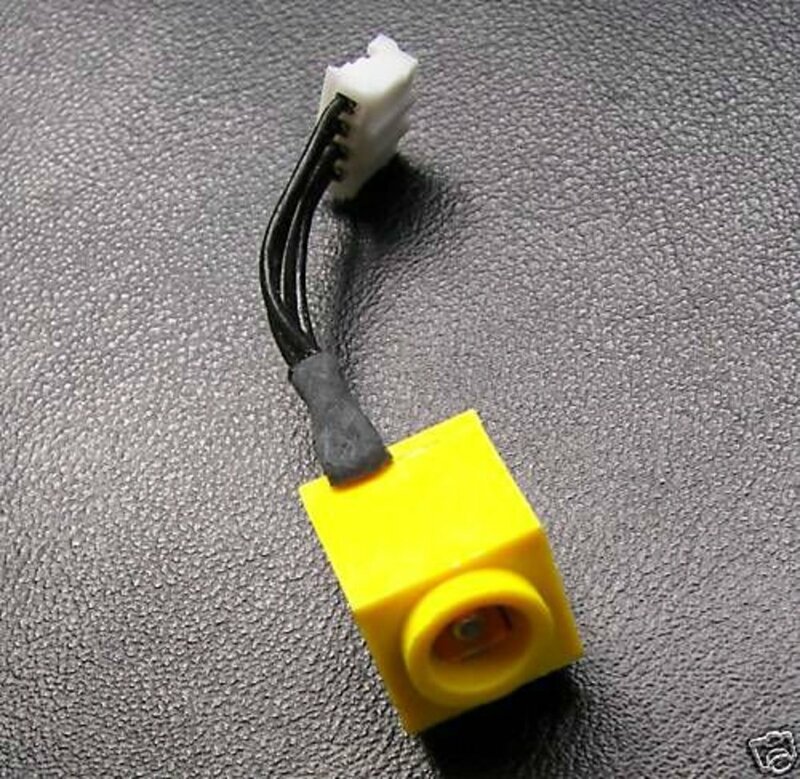 For most laptops, the DC jack is an expensive repair because the jack is soldered to the motherboard. Even for those systems who have a separate piece, the system will need to be completely disassembled, which is not for the faint of heart or a novice. Avoid a broken jack like the plague, unless you have the knowledge to fix it, or the price reflects the damage. USB ports have a tendency of breaking with continued use. Again, it may not be the fault of the seller, but you want to test this out with a simple USB stick. By wiggling slightly, (no force please, you will be responsible) you'll be able to tell if there is a loose connection. If your stick continues to show properly, then the port is fine. Usually systems have 2 or more ports. It may be something you are willing to live with if you have a USB hub or USB PC Card. Huge piece cracked off lid of IBM Thinkpad. Cosmetic damage is as important as the buyer deems it to be, but there are specific types of damage that are an indicator of problems yet to come. 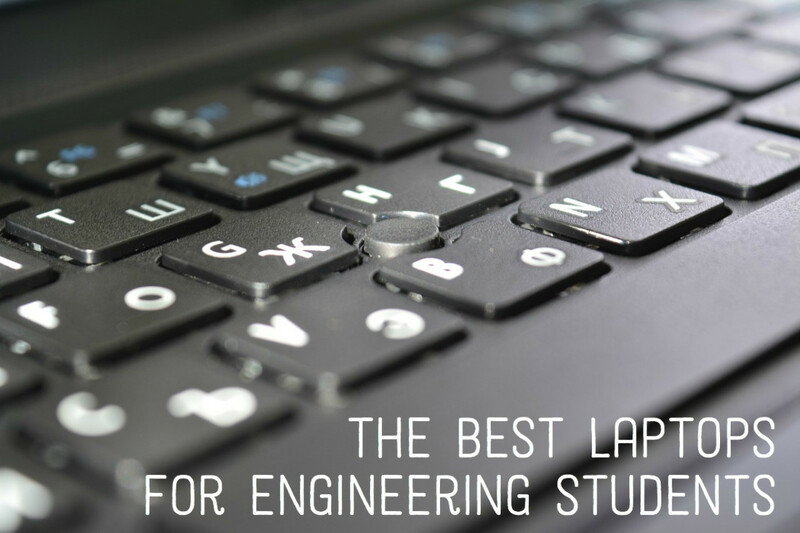 One such type is a cracked piece of plastic off the bottom corner of the laptop. This is usually an indicator of the system being dropped. The system may run fine now, but a sharp fall may cause hairline fractures in the solder connections of the system, which will fail as time goes on or if the system overheats. This is not always the case, but likely. Be wary of cracks near the hinges of the laptop. This is usually no fault of the seller, but a design fault of the system. The cracks may continue to separate until it threatens the integrity of the top case and hinge. You might end up having to prop the laptop open. This can be repaired, but you may want to avoid it. Some cracks may never spread, so take each laptop on a case by case basis. Also beware of a crack parallel to the PC Card port, this may imply that it was hit there with a card inside the system. If the keyboard is lifted up, or the system is missing many screws, it may indicate that the system was opened and repaired by an amateur. As a technician, I tell my clients that refurbished systems are great buys because whatever was going to go wrong with the system has already happened and unlikely to happen again in the future. However, this is only true of a professional. If the system seems like it was fixed by a hobbyist, avoid buying it. Check any ports or peripherals you may use. You might frustrate the seller, but if you do it quickly, you will be confident of your purchase. Test the headphone & Mic jack, memory card reader...anything that is important to you. Very often the buyer won't even notice that the speakers don't work. Be curious if you didn't hear the familiar Windows boot chime. The person may have changed the settings, but it might be an indication of a bigger issue. Older systems may have dirty keyboards, this is not unusual. However, if the keys are sticky, discolored brown or are hard to press, something may have been spilled on it. You should avoid systems with spill damage. Even water can leave mineral deposits that can cause short circuits. 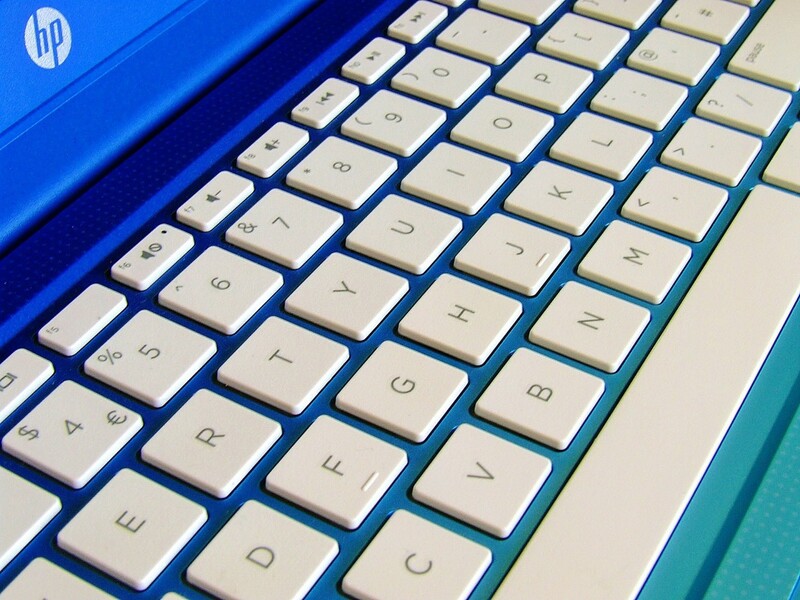 Make sure to check if the touchpad is providing smooth response and is free of debris/major discoloration. Systems with eraser shaped nubs are harder to get used to but provide incredible accuracy. If you are using CDs, you may want to put a cd/dvd in for a quick check. The CD should autoplay and pop up or the name will appear in My Computer. Testing beyond this is not necessary unless you hear grinding or it takes more than few minutes for the cd to respond. 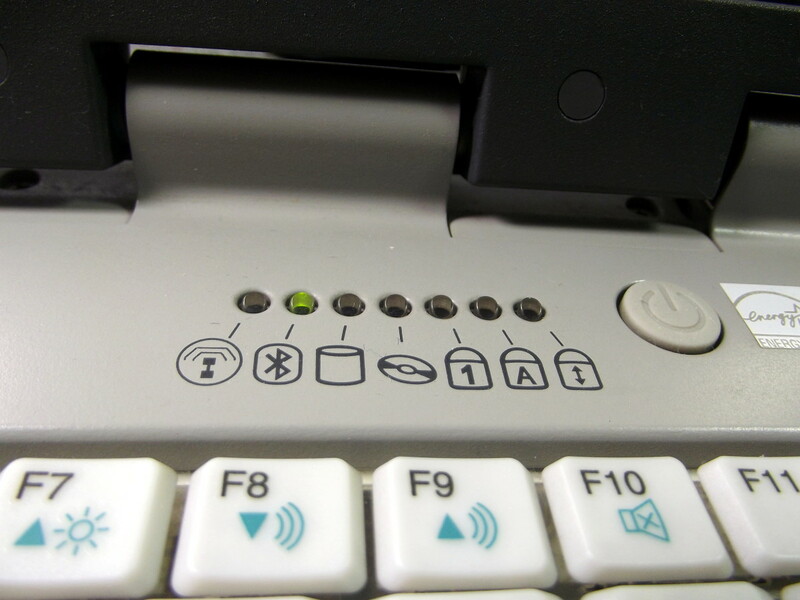 More over, double click on the little Wifi icon in the system tray to see if you see any signals. If you are at McDonalds or Starbucks, you should be able to connect. Speaking of changed settings, you should feel comfortable that the person has given you a clean version of Windows. This is not as easy to check as other things but there are tell a tale signs that you are not getting a clean install. If there are many programs installed, changed wallpaper, and the user name is unique (I.E. Dan Braun etc), it is probably a well used user account. That may not necessarily be a bad thing, but that leaves you open for password stealing software and viruses. You can tell if it has viruses if it is incredibly slow to boot to the Desktop or many windows pop up immediately after loading Windows. (Vista loads very slow when not optimized, keep that in mind). Some technicians install freeware software and, for older systems, optimize Windows for faster performance. But if there are personal documents and pictures still in the My Documents folder, Caveat Emptor. Windows XP is not very accurate with battery readings, especially on old systems, so don't depend on it to determine if the battery length is right for you. However, you can recognize a bad battery by the fact that the battery indicator fluctuates dramatically after being on battery for a few minutes. The meter will adjust a few times before it becomes linear, this is normal. Adding external peripherals will also change the amount. However, if the battery says 2 hrs when you unplug it, then says 45 mins after 2 minutes, then says 15 after 5 minutes- you probably won't get a long charge. However, the battery indicator has been known to go from 3 hrs to 1 hr back to 2 hrs in a matter of minutes and the battery was a good one. In the end you have to gauge the seller's honesty to have a good indicator of the battery life. 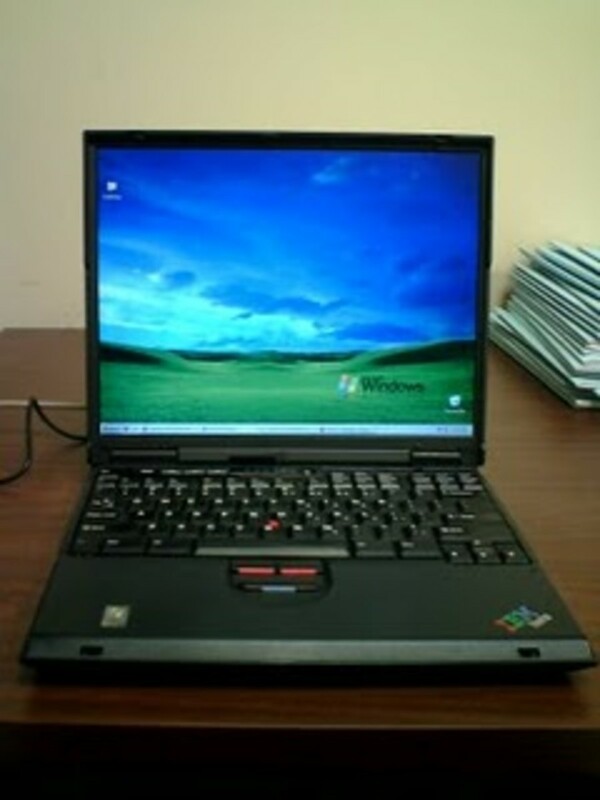 IBM Thinkpad with several pressure spots. Many older systems have spots on their LCDs. They can be pressure spots, discoloration or dead pixels. On some models, this is not created by the user. How many you are willing to accept, is a personal preference. Also, age is nothing but a number. Most systems are actually more likely to last once they reach a certain age, usually 3 years old. It is no secret that manufacturing quality has decreased over the years. If a system is 6-10 years old and still functions for what you need, don't be hesitant to buy it. When optimized, we have seen Pentium 3 systems run as well as un-optimized Vista systems. Many people will tell you otherwise but a couple hours on google will never trump 10 years of hands on experience. I have worked with enough models of laptops to know that every system is different and build quality is a better determination of how fast your system will run- not just specifications. Statistics have shown that netbooks have a short life span and a disposable mentality. 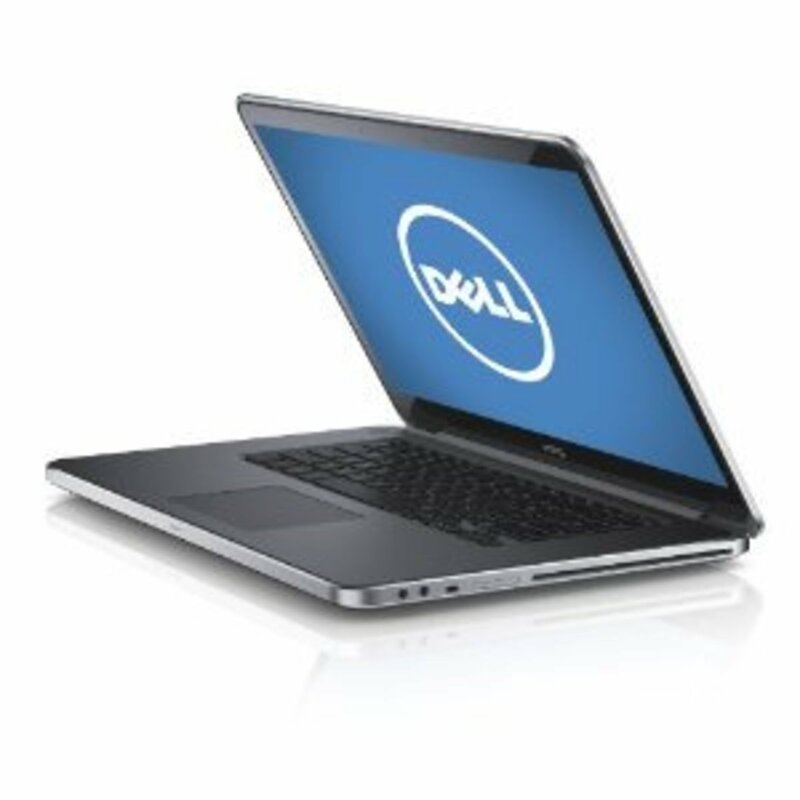 There are full-featured notebooks that are under an inch in thickness or are as small as a netbook in dimension. Toshiba and Sony are known for their small full featured laptops. Last, but not least, check your specs and drivers. 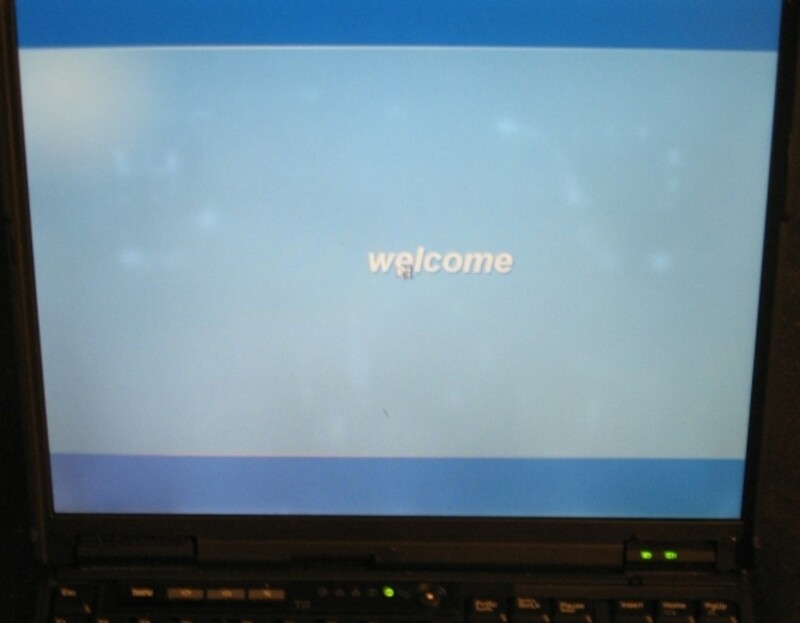 In XP, click on the Start Button ->Control Panel->System. The General tab should show the processor type, highest rated speed, current operating speed, and amount of ram. Go to the Hardware tab in System and select Device Manager. There should be NO yellow Question marks or Red exclamation marks. That means there is a Drivers issue and you will have to find the driver yourself or that the hardware is malfunctioning. If there are no drivers for the ethernet card or wireless card, you will not be able to connect to the internet until you download the drivers on another computer and install them. Selecting My Computer will show you the approximate size of the hard drive by hovering over the hard drive icon and looking at Details to the left. The hard drive on newer systems may have a hidden recovery partition which may make the size up to 10Gb smaller. However, don't assume that is the case. The hard drive may also be divided into several partitions. This is a little advanced for the novice, so make sure your seller shows you the specs if you are unsure. Before meeting up, ask for the model number and Brand. 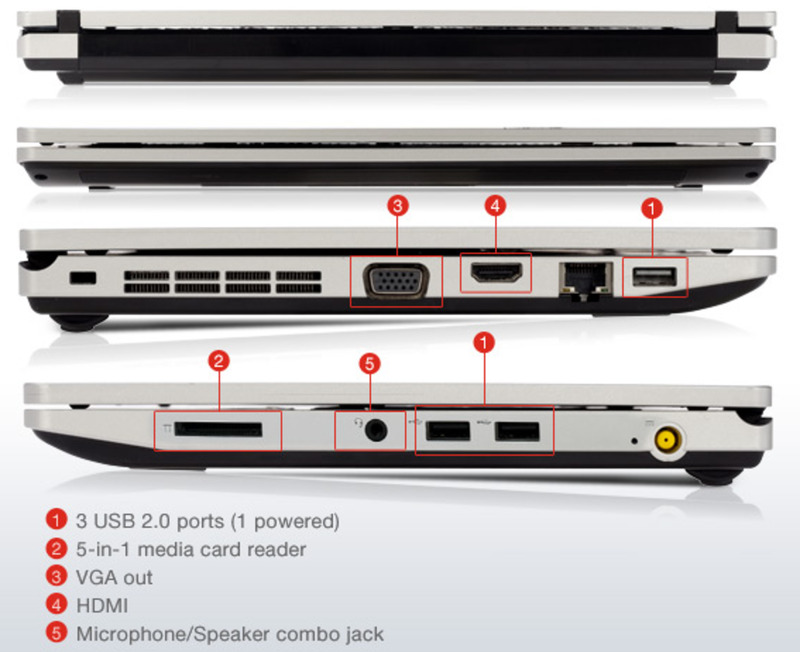 Most laptop websites have specifications on their websites. However, different price ranges have different specifications. Nonetheless, some things should remain consistent like processor type, hard drive type (Sata/IDE), and ram speed. You will need to know these things if you plan to upgrade. Used systems are not perfect, but a well taken-care-of system will show it. You will drive your seller CRAZY trying to check all these items. You may want to pick the points most important to you (with an emphasis on point 1 and 2). You may also want to take a simplified checklist and go through it very quickly, but thoroughly. The seller may be a novice computer user and that's where the model number comes in to play. There are some things you can't catch if you are a novice, like the memory, hard drive, or video card failing. But remember, blue screens are bad things and will give you the clues you need. If you see more than one, don't buy it. Running programs like Word, Photoshop, and maybe a 3D game can also catch a failing piece of hardware. Always run a program (any program) on the system you are going to buy. That is the minimum you should do. Good luck hunting!